Motorsport is a discipline that requires developing a blend of physiological variables and specific qualities in order to perform at the highest level. The needs of the individual should also be considered as each athlete has their own strengths and weaknesses. While planning to improve one area of performance in isolation can be straight forward, this is almost never the case when you are looking to develop the comprehensive physical preparation of an athlete. The demands of training are also concurrent and often conflicting in nature (Issurin, 2010). To complicate matters even more, throw into the mix extensive competition, travel, media, sponsorship demands and the athlete's life outside of the sport you have a real mix of factors that complicate the planning of their training from the macro- right down to the micro-cycle level. While the above list gives an indication of some elements the strength and conditioning coach needs to consider, it is far from the complete picture. There are always key factors to focus on and compromises that will need to be made at different phases of the season in order to generate a plan that enables an athlete in any sport to achieve their peak fitness and goals in the most efficient manner. While a plan can be created, at times it will still need to be adapted based on the ever-changing requirements. Given that there are many different demands that need to be developed, many factors that need to be considered, and often a high pressure to deliver in a sport where the international media coverage is huge, it can be bewildering for a strength coach to know where to begin when putting a plan together for a driver. In order to achieve this and simplify the process, a key place to start is creating a needs analysis of the sport. Look at the demands the driver has to face and then compare their strength and weaknesses based on assessments to determine an effective plan. An additional problem for motorsport is that it’s hard to see the physical demands placed on the driver or the physical qualities needed. For sports such as sprinting, we can see what the athlete is having to do, whereas a racing driver is in a car where many of their actions cannot be seen. This typically acts as a dynamic reference that the coach can always fall back on tp ensure the key physical requirements are met. Each individual has their own strength and weaknesses and without identifying these as a coach you are just guessing. While this article isn’t going to provide a complete needs analysis or training plan that can be implemented with a driver or any other athlete, by looking at the example of Formula 1 it will provide a base from which a needs analysis can be developed, or provide a coach with a base level of understanding from which they can begin to determine how to move forward with an athlete. Let’s look at the first two elements to begin with, the annual competition and travel schedules. For Formula 1, the testing kicks off end of February / start of March with the main season of races running from mid-late March through to November and travels to all corners of the globe. For 2018 the calendar is as follows. With races in all over the world, factors like the environmental conditions of each location, travel times, time-zone shifts and access to training facilities on site can all impact on the entire spectrum of planning and consideration should be given for macrocycles right down to microcycles. The environmental factors play a huge role and can greatly impact drivers. We need to consider how to prepare drivers to cope with high heat, humidity or the combination of both. Further, they have to go from hot conditions to cool or wet conditions without having a negative impact on performance, and with limited time for traditional methods of acclimation. Each circuit also provides their own unique challenges that we need to factor into the planning. Some circuits such as Monaco (Figure 1) require higher levels of concentration and cognitive demands. Other circuits require greater braking, long high speed corners with higher G-forces, or an anti-clockwise layout which place different physical demands on the driver. The races themselves take place on a Sunday and are just over 305km (190 miles) in length or a 2-hour time cap. However before this on a race weekend drivers have two 90-minute practice sessions on a Friday followed by a 60-minute practice session and a qualifying session on a Saturday. This means the drivers recovery in between session also needs to be considered in the planning for each driver. Motorsport is a race discipline and the aim for each driver is to extract the maximum speed and fastest lap time from their car over the entire race distance to reach the finish line first. This requires the driver to have the ability and capacity to push their car to the limits while minimising mistakes. This requires a blend of physiological qualities from strength, strength-endurance, and cardiovascular endurance to mental/visual qualities such as reaction-time, co-ordination and cognitive performance. Being a motorsport driver is one of the most physically and mentally demanding sports around (Klarica, 2001; Raschner et al., 2013). These physical and cognitive qualities that a driver needs to possess occur through a number of key movement patterns. Creating rapid force and extension of the hip and knee for braking. Creating and maintaining force and tension through the core and neck to resist sustained G-forces. Generating upper body force and speed of movement for grip, steering and control of the car. Spatial awareness and reactions combined with the ability to multi-task while controlling a car at speeds of up to 200mph+. Ability to sustain elevated heart rates for prolonged periods of time. Having the endurance to sustain cognitive performance and decision making. Repeatability of performance and recovery from multiple sessions. Looking at these demands that the driver will face in the car allows us to identify key traits and qualities that need to be addressed and developed in the training program from a physiological, biomechanical and cognitive standpoint. With the demands placed on the driver to generate explosive extension of the hip and knee, resist G-forces through the neck and core, plus the upper body strength and endurance for grip and steering, the drivers need to develop a base level of strength and strength-endurance. Take braking, where the force drivers need to generate for extension of the hip and knee is over 100kg per braking incident into the brake pedal (Raschner et al., 2013). This needs to be replicated multiple times per lap for up to 80 laps. Take Montreal, Canada for example where over a lap a driver applies 930kg of force to the brake pedal, over the 70 lap race this equals 65 890kg of force applied through the brake pedal (Formula1.com). Adequate attention needs to be given in their training program in order to build sufficient strength and strength-endurance in order to meet the demands of braking throughout a race without fatiguing. Over the course of the race the drivers also have to cope with constant vibrations coming through the car (Watkins, 2006) and gripping the wheel, while managing the force needed to steer the car with high downforce and large wide tyres. Resisting the G-Forces of braking and cornering places large demands on the drivers core to stabilise the body and resist the force on the head, requiring the development of strong neck flexors and extensors (Baur et al, 2001). A driver's head and helmet weigh up to 6.5kg (Watkins, 2006; Backman, 2005), so under 5-6G of braking or lateral force in the corner their neck needs to be able to resist up to 40kg of force repeatedly. With the manner in which drivers are strapped into the car we also need to consider the position of the driver when they are generating these forces and the manner in which they generate this force through a combination of concentric, isometric and eccentric movements. Figure 4. Lewis Hamilton explaining the seating position of a Formula 1 driver. In the car drivers are subjected to thermal stress, vibrations, emotion and an elevated level of activity in the car (Watkins, 2006). This means that heart rates will usually be around 130-150 beats/min and have been shown to peak at over 200 beats/min in some instances (Backman, 2005; Potanowicz, 2015; Minoyama & Tsuchida, 2004; Baur et el., 2001). Formula 1 drivers' VO2max can be on par with that of an Olympic rower or professional triathlete. Developing the drivers cardiovascular endurance needs to be a key aspect of training, and this needs to be planned in a manner that doesn’t impact on the development of the strength. Aside from planning the development the drivers VO2max, we also need consider the development of the energy systems the driver will be using when in the car and during the race. From the information above and race duration, we can see that the majority of the performance will be using the oxidative energy systems, but at times like braking and cornering when heart rate is peaking energy will be coming from the glycolytic and ATP-PC systems. Planning to develop high levels of cardiovascular endurance will also help drivers to cope with the demands of travel and recover from the demands of high intensity exercise and competition (Francis, 2012; Schmolinsky, 2004). Meeting these demands while concurrently trying to develop both strength and strength-endurance can be tricky and proves to be a real reason why structured planning of the drivers training is crucial. It needs to take into account the competitions, travel, other factors such as media and sponsorship duties that are going to put a stress on the driver too, in order to ensure that they have sufficient recovery before each race weekend. 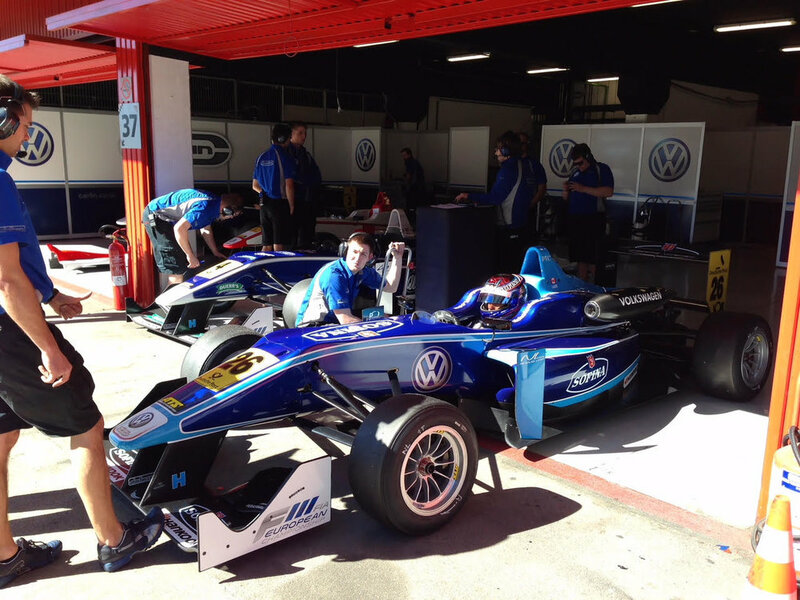 Formula 1 and elite level single seater racing is a weight critical sport. The minimum weight limits for combined car and driver (this is what the teams target to run at) are tight and the lighter the driver the more weight can be added to the car as ballast, allowing teams and drivers to adjust the balance of the car. 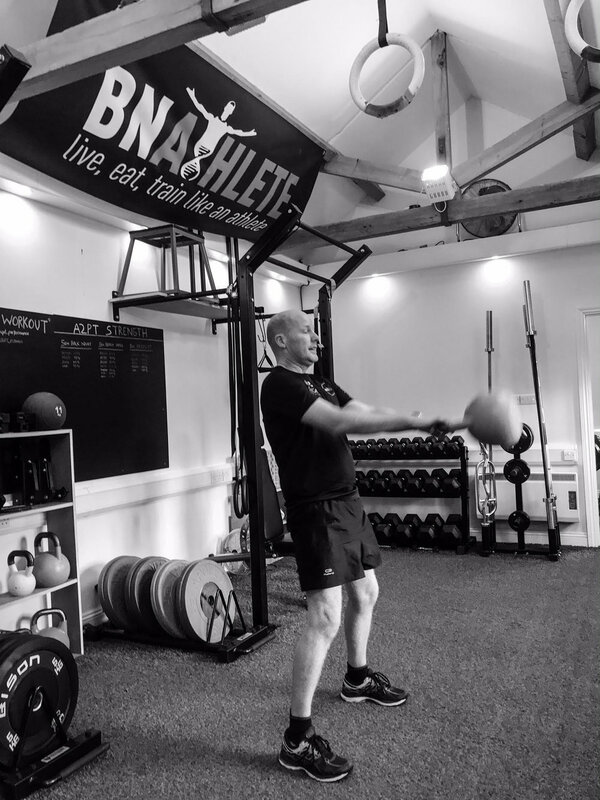 The result of this is drivers are always looking to maximise lean mass, minimise body fat and keep as light as possible while being able to maintain health and performance. The ability to control the body through a range of positions and to move between different postures such as standing to lying when getting into the car. Spine: This is an area that takes a real beating for drivers due to the vibrations, compromised spinal position in the car and constant G-Force. The inter relationship between these factors and the strength qualities, constant travel and long competition season mean that there needs to be strong consideration in the planning of the training for drivers to include appropriate preparatory, training, mobility and recovery prescriptions. A final factor that needs to be considered in the effective planning of a Formula 1 drivers training program when looking to optimise performance is the development of their reactions and co-ordination. Formula 1 drivers reactions are considerably faster than most people and up to 40 milliseconds faster than drivers racing at a junior level (Baur et al, 2006). They are often tasked with performing multiple motor and cognitive skills simultaneously (Klarica, 2005) such as managing and altering settings on the wheel, reacting to competitors around them, spotting braking points, and controlling the car at speeds of up to 200 miles per hour. While sport specific training and time in the car or karts is an element of training here that needs to be considered and one that can be highly effective. Alternative strategies also need to be looked at and factored into the training, especially in the modern era where outside of races testing time is strictly limited. The multi-faceted nature of the physical demands a Formula 1 driver faces mean that multiple training modalities need to be factored in to their yearly periodisation and the course of their career. Each component and facet of training competes for resources (time, mental capacity, physical capacity and recovery). Therefore load management is a key component that has to be taken into consideration. While load management can encompass many factors, when we break it down the main goal for the coach with drivers is to arrange or manage the dose of each training component plus recovery at different periods of the year. The result of this is to ensure that the driver achieves their intended goal of each training phase or phase of the competitive season while remaining injury free. Managing the dose of each training component from resistance training to energy system development to movement quality work over the course of each training cycle and the year. Manging the load and volume over the course of each week. Exploring and determining strategies to combat the demands that extensive periods of travel and competition place on the body. This can include looking into access and availability of suitable training facilities while travelling, and methods to ensure that the drivers nutritional requirements can also be met with ease wherever in the world they are training or competing. Managing the training dose to allow for an effective taper through the manipulation of training modalities and volume to ensure the driver is in peak condition when it comes to competition. While load management strategies are employed commonly, the conflicting demands of the different training modalities needed to be developed for Formula 1 drivers. Couple this with the long competition season, huge travel demands, often long travel times and other logistical challenges mean that the load management plan for Formula 1 drivers needs to be both well thought out but highly flexible. It needs to allow for multiple factors to be developed without prioritising one or losing sight of the primary objective of maximising performance in the car across all 20 race weekends. Backman, J. Acute Neuromuscular Responses To Car Racing. University Of Jyväskylä, Thesis, 2005. Baur, M., Muller, S., et al. Reactivity, stability and strength performance capacity in motor sports. British Journal Of Sports Medicine 2006; 40:906-911. Francis, C. (2012) The Charlie Francis Training System. Issurin, V.B. New Horizons for the Methodology and Physiology of Training Periodisation. Sports Medicine 2010: 40(3); 189-206. Klarica, AJ. Performance In Motorsports British Journal Of Sports Medicine 2001; 35:290-291. Minoyama, O & Tsuchida, H. Injuries In Professional And Motor Racing Drivers At A Racing Circuit Between 1996 And 2000 British Journal Of Sports Medicine 2004: 38; 613-616. Potanowicz, ES. A Real-Time Case Study in Driver Science: Physiological Strength And Related Variables International Journal Of Sports Physiology And Performance 2015; 10:1058-1060. Raschner, C. Platzer, H. & Patterson, C. Physical Characteristics Of Experienced And Junior Open Wheel Car Drivers Journal Of Sports Sciences 2013; 31(1):58-65. Schmolinsky, G. (2004) Track & Field: The East German Textbook Of Athletics. Watkins, ES. The Physiology And Pathology Of Formula 1 Grand Prix Motor Racing Clinical Neurosurgery 2006; 53:145-152. 'For as long as I can remember I have been involved in sport, either as an athlete competing or involved in close proximity. In particular I have spent a large portion of my life involved with motorsport both professionally and as a fan. This ranges from karting against some of the worlds best drivers to providing strength and conditioning and event support to drivers from karting to Formula One."